Yann Tiersen - ? (Infinity) (2014) Lossless | Free eBooks Download - EBOOKEE! Posted on 2014-05-25, by supnatural.
? (Infinity) is the follow up to 2011's Skyline (which was described by MOJO as "life affirming", by Clash as a "...remarkable musical talent" and in Drowned In Sound's 8* review as "euphoric"), and will be premiered at an exclusive live performance at the ICA, London, on 14 May - which sold out in less than 5 hours. Tiersen has worked with native language speakers to include tracks sung and spoken in Breton (Ar Maen Bihan), Faroese (Gronjor) and Icelandic on (Steinn).
? (Infinity) was conceived in Iceland, where work began on the album, and in Ushant Island, Brittany. The album was produced by Yann Tiersen and mixed by Gareth Jones with Yann Tiersen and Daniel Miller. Hailing from Brittany, Yann Tiersen is one of the most revered artists of his generation with a reputation first established by his studio albums (which included 1997 Cascade Street 1998's The Lighthouse and to 2005's Les Retrouvailles). The early albums were combined and used for the Amelie soundtrack (2001), earning him global recognition. Recent albums on Mute, Dust Lane (2010) and Skyline (2011) has seen his prominence build, along with projects such as the recent live score to the Fantomas series which he curated at the Theatre de Chatelet with guests Tim Hecker, James Blackshaw, Loney Dear and Amiina. 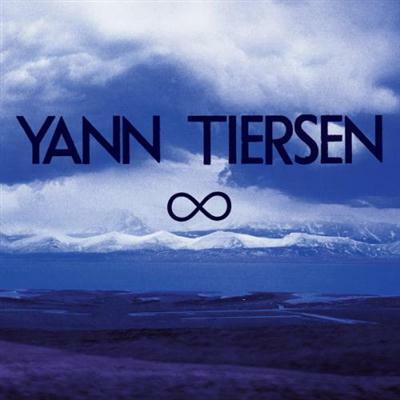 No comments for "Yann Tiersen - ? (Infinity) (2014) Lossless".